on Saturday (at Spice Route) and Sunday (at Rhebokskloof). “THE ROCK” is a joint venture between De Villiers Cycling Events and Hero Adventure Trails. off-road experience in sublime surroundings without the usual arm-and-a-leg cost to enter. which only add to the entry fee and don’t present much else perceived value anymore. wide array of vendors where they can buy breakfast, lunch and dinner on race days. in the cycling and running industry. consumer time constraints. WE HEAR YOU! mountain-biking and trail running festival. 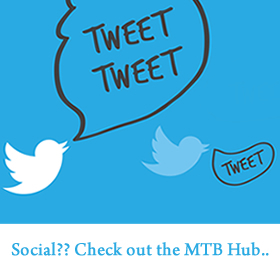 of features that result in the perfect recipe for trail runs and mountain-bike events. vast array of neighbouring properties and farms. Rhebokskloof and Spice Route – top wine destinations and tourist attractions in South Africa. parking and large event areas – perfectly suited to the hosting of mass participation events. holds barred approach to make them something special. tents) at Rhebokskloof and Spice Route for R250 per person per night. The rate excludes meals, which will be on sale throughout the day. Riders can book a camp site with their entry. becoming unaffordable over the years. a well marshalled, safe environment, and affordable eats and drinks at vibey and cool venues. don’t want to fork out thousands of Rands for the same experience anymore. Off the bike a world filled with great food, entertainment and activities await the entire family. weekend of adventure – there is guaranteed to be something for everyone. running terrain between them and scenery certainly have no equal in SA. journey over the some of the best mountain-biking terrain in the country. (R400 per rider per day) while single riders pay R1200 for the three stages. participation is 16 on race day. The riders in a team must remain together always during the race. tour which will attract both local and international participation. and motivate riders during the event. 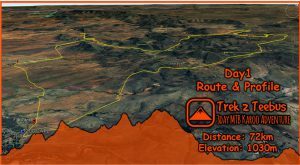 terrain that links Malmesbury and Paarl. the brilliant Hero trails at Rhebokskloof and Spice Route. track, notably through Fairview and Spice Route farms as well as Rhebokskloof. vast sections of their land, and this has opened some wonderful terrain. indigenous forests, and spectacular views. “THE ROCK”, finishing with a trip literally around the Paarl Rock to finish at Rhebokskloof on day 3.